The Onaman Collective Youth Team was formed on February 21, 2017. These young people are leaders who are taking the lead at our Permanent Culture Camp. It will be there ideas that help shape the camp and their leadership is essential to how we move forward. We believe that young people are leaders now, not leaders of tomorrow. We listen to our youth and follow their lead. We expect to feature more from this team as the camp takes shape. 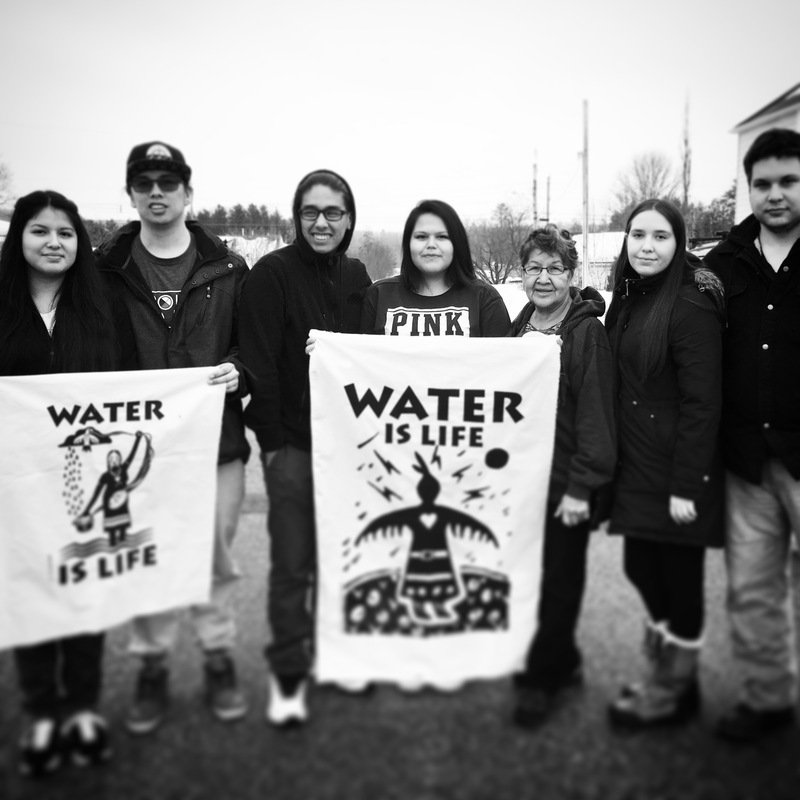 Pictured L to R: Taryn Pelletier (Serpent River First Nation), Quinn Meawassige (Serpent River First Nation), Preston Pine (Serpent River First Nation), Carissa Daybutch (Mississaugi First Nation), Elder Mary Wemigwans (Wikwemikong First Nation), Jeana Peltier (Wikwemikong First Nation/Metis), Brett Woods (Fisher River Cree Nation). (Missing from photo: Ryan Simpson, Autum Peltier & CC Peltier). © 2019 Onaman Collective. All Rights Reserved.